Wisdom teeth usually begin to develop and show on x-rays in our early teens. And that’s the best time to start monitoring their growth to see if your wisdom teeth can stay, or if it’s better to get them removed. While all wisdom teeth don’t necessarily have to be extracted, all of us at our dental office in Austin want our patients to know that if wisdom teeth removal is recommended, it’s for a good reason. Even if your wisdom teeth came in without a hitch, you may not necessarily get to keep them. In fact, one of the main reasons wisdom teeth need to come out is that they are difficult to care for. Your wisdom teeth, the four molars in the back of your mouth, are hard to reach with a toothbrush, and even harder to floss. This tends to increase the likelihood of gum disease and cavities. If any issues are noticed during your routine checkups with your Austin dentist, removal may be recommended to reduce the risk of more cavities and infection later. Keeping up with your regularly scheduled appointments at our Austin dental office is an important step in monitoring your wisdom teeth and making sure that everything in your mouth is healthy, functioning correctly, and looking great. If you need someone to check out your wisdom teeth, or your smile as a whole, give us a call today. Do you experience shooting pain through your teeth when you drink something hot or bite into something cold? If so, you may be suffering from sensitive teeth. It’s a common problem for many people, but our dental office in Austin wants to help explain some possible reasons behind your sensitivity and how we can fix it. Solution: See your dentist in Austin as soon as you can. 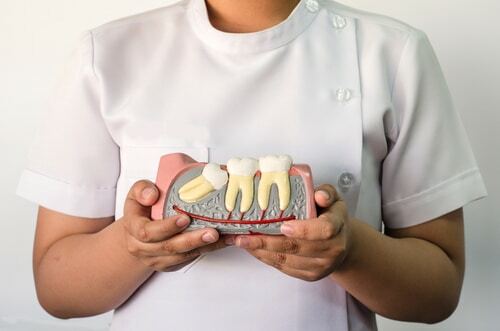 Gum disease is a serious concern that can not only cause tooth sensitivity, but also contributes to whole body problems like strokes and heart disease. If you have sensitive teeth, give our Austin dental office a call to schedule an appointment with us. We’ll work with you to determine the cause and discuss relief options. 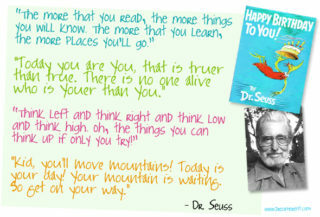 Happy Birthday Dr. Seuss! Today is World book day. 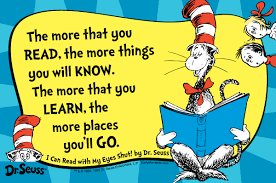 Schools across the globe are celebrating Dr. Seuss’s whimsical writing by dressing up and celebrating how wonderful it is to read and be inspired. What are you reading right now? Does it inspire you?! The 12 Oaks Dental team is reading The Happiness Advantage by Shawn Anchor. Everyone could use more happiness in there lives! This book breaks down the ability to be happy in all areas of your life by applying 7 principles. We suggest you pick up a copy and join us reading this great book!